Brady, Horizontal Vinyl Color-Bar Badge Holder - Data/Credit Card SizeBrady, Horizontal Vinyl Color-Bar Badge Holder - Data/Credit Card Size, Item # 1820-1001, Color code groups for quick identification. Top load w/ slot & chain holes. Data/credit card size. 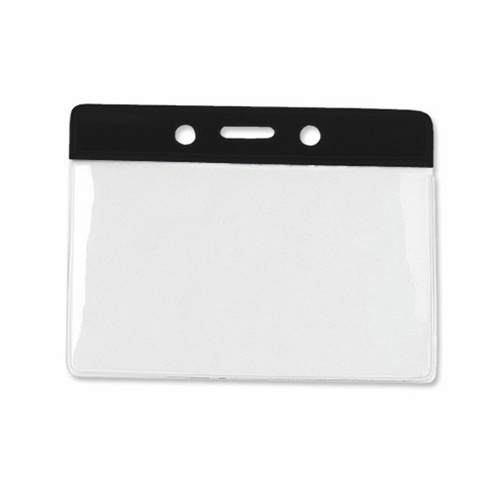 White horizontal vinyl color-bar badge holder - data/credit card size. Color code groups for quick identification. Top load w/ slot & chain holes. Data/credit card size. Insert size 2 1/16" x 3 1/4" (53 x 83 mm).